Using the best equipment is just as important as using the best material. 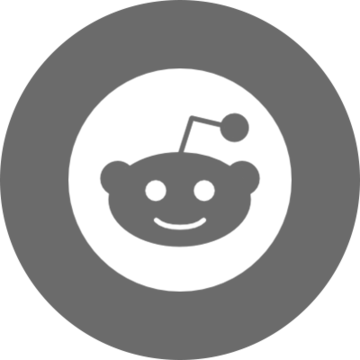 In this post, I'll provide a brief overview of Alchemy-Spetec's equipment offerings. 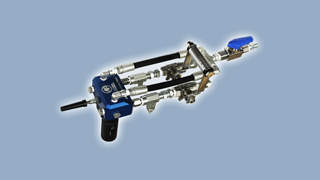 Two-component resin injection gun manufactured specifically for lifting concrete slabs and designed to handle back-pressure. Manufactured for lifting concrete slabs. PMC plural component proportioners are used to inject AP two-component structural polyurethane foams for concrete leveling. Rugged and dependable, these pumps utilize relays and circuit breakers instead of circuit boards, vastly increasing reliability and preventing maintenance problems. Used for concrete leveling & slab stabilization. Uses relays instead of circuit breakers (less maintenance). Pumps range in output from 25 lbs/min - 40 lbs/min. 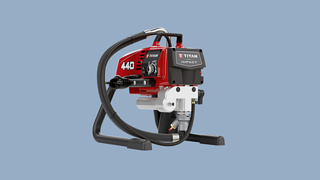 Modified for injecting polyurethane resin, these world-class Titan pumps are essential tools for sealing both small and gushing leaks, as well as filling voids behind and below structures. Output range of .54 gal/min - 2.35 gal/min. Pressure range of 3300 psi - 3600 psi. Seals both small and gushing leaks. Can also be used for some soil stabilization and void fill projects. 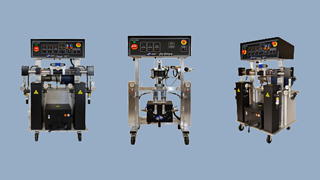 Want more information on Alchemy-Spetec Equipment?